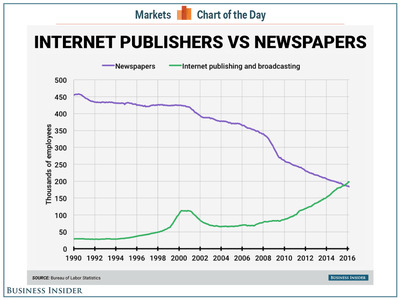 Newspapers are dying and the internet is rising. The Bureau of Labour Statistics recently highlighted a stark indicator that this generational shift in the nature of media is happening: Since October of last year, there have been more people employed in internet publishing than by traditional newspapers, according to the Bureau’s Current Employment Statistics program, also known as the “establishment survey” in the monthly jobs report. 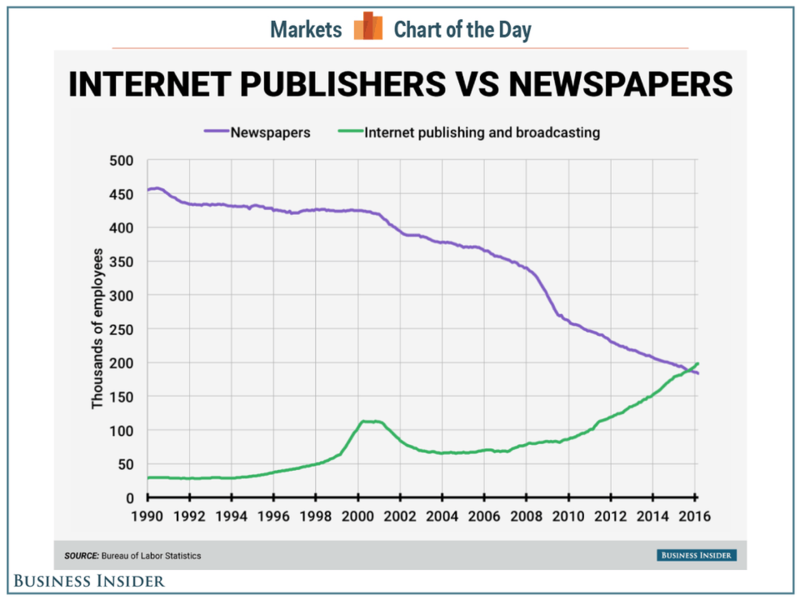 This chart, based on an interactive graphic made by the BLS, shows the dramatic changes in fortune for online and offline media.